Driven by the increasing number of bike thefts taking place in all major cities of the world, bike locks are gaining more importance than ever before. 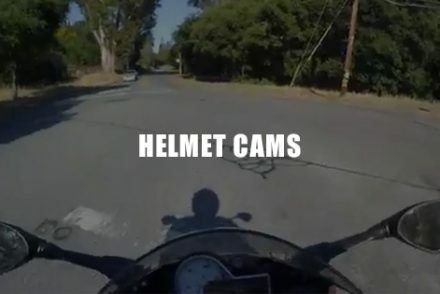 What is more depressing than the actual loss of your bike is the fact that a bike theft usually does not get the same importance as maybe a car theft and hence it is normal for bikers not to report the crime too. A more sensible option would be to increase safety and security of your bike by employing the services of a good bike lock that is quite impervious to picking, drilling, leveraging and cutting attacks. In this article, I wish to list out some of the best bike U-locks available in the market today. Do not be fooled by the rather petite profile of this beefy locking device. 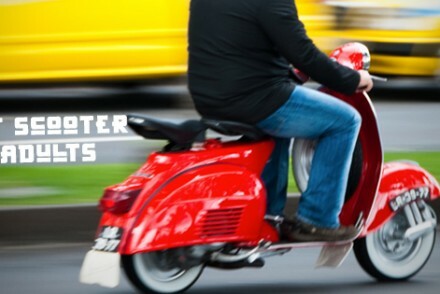 It is great way to keep your bike safe even when you have to park it for a long time in the city. This 3.75 × 6.5 inch locking device is made with Bent Foot shackle design enhancing its ease of use. A protective vinyl coating prevents rusting and other damages from weathering elements. The product comes with 2 stainless steel keys attached with coiled wrist key chains. 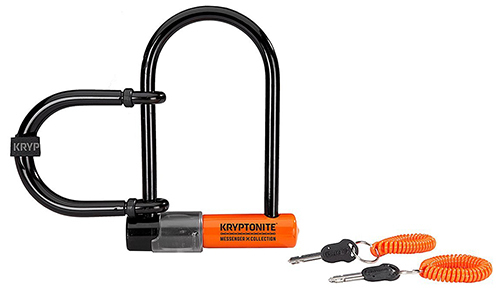 A key safe program makes the Kryptonite Messenger Mini Plus extra safe and secure. 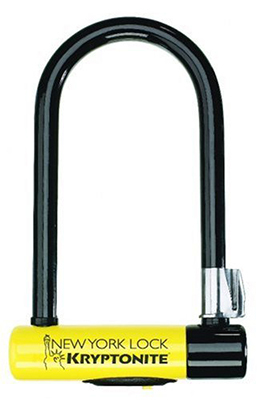 Recommended and suitable for short-term locking needs, this light-weight and small-profile U-lock delivers good security for your bike. 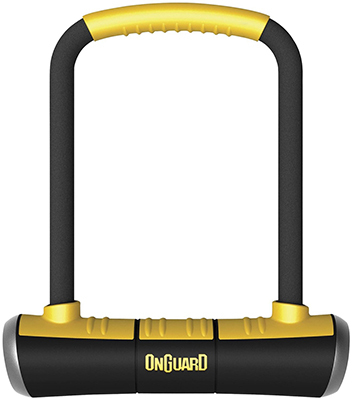 The Onguard Brute Mini lock is built with X4P Quattro locking mechanism giving your bike a 4-sided protective sheath. The Tri-Radius shackle is conveniently lengthy with dimensions of 90×140 mm making this locking device more flexible. The product includes Snap Lock Quick Release mounting bracket which has been designed for multi-positioning and comes with five laser-cut keys for enhanced precision and extended holding power. With a security rating of 97, the Onguard Brute lives up to its name delivering brute counter-force to picking, drilling and leveraging attacks. With a shackle made of 18mm alloy steel, the Blackburn San Quentin U-lock features a double-bolt locking mechanism for added security and extended holding power. Its 10-ton pull strength renders the Blackburn San Quentin robust and strong. The central locking mechanism has a sliding dust cover for added protection from weathering elements while the laser-cut keys make illegitimate picking very difficult to succeed. The thickness of the shackle is ample enough to ward off attempts to cut except possibly if the thief is carrying around and using a conspicuous a plasma cutter or a welder. 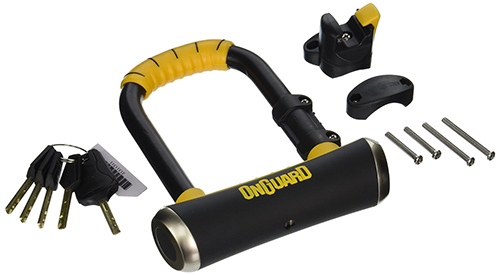 The OnGuard 8001 Brute (4.4×8 inches) has a really large hardened steel shackle measuring 16.8 mm in thickness ensuring optimum cut resistance. 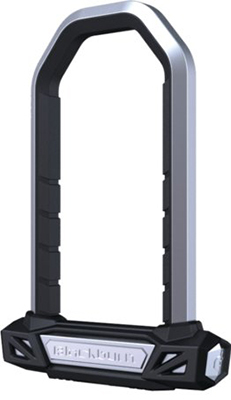 A reinforced sleeve over the cylinder and cross bar delivers additional security. The key is illumined for use in the night. The U-lock is weather-proofed and vinyl coated for extended protection. The 4-sided Quattro locking mechanism offers immense protection allowing you to lock the cross bar to the shackle on four sides thus optimizing pull resistance. In fact, the robust and strong profile seems to instill a sense of fear and hence a great deterrent to thieving ideas. The keyhole is fitted with metal shutters which need to be pried open with bottle jacks before anyone can pick the lock; an added deterrent for theft. 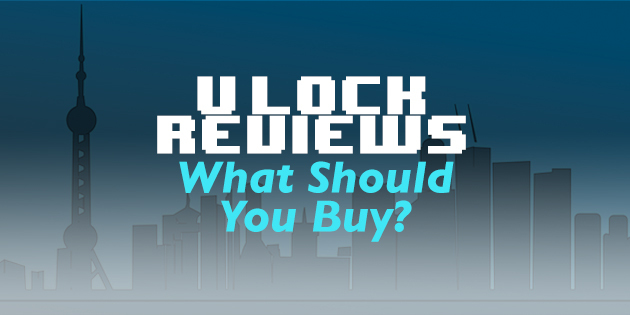 Well-constructed and great performing U-locks with good lock mechanisms and made with high-grade materials can deter thieves by slowing down their picking process and finally can convince the thief to probably choose an easier target. Moreover, when you have spent a large amount to buy a great-looking and great-performing bicycle to show off, then does it not make sense to invest a little more to keep your beloved bike safe from intruders? If you find it difficult to lock/unlock the locking mechanism, then it invariably means the thieves (by default a lazy lot) will not waste time on your bike. So do not be put off by the seeming difficulty of operation; it merely means that your lock is far safer than the others. 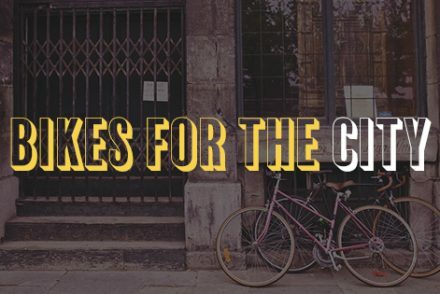 So, find that U-lock that fits your bike the best and do let me know what you think of my article.